While Satyajit Ray’s stories are usually based on the traditional scienctific thought, many of his writings also hint at his deep fascination with the unexplained and the paranormal. In Shankur Parolokcharcha (Souls) we find that evident – in the course of their research on beings of the Afterworld, Shanku and his colleagues invent the ‘Compudium’, a ‘computerised medium’ to communicate with those who have died. When the news about the invention breaks, they are expectedly ridiculed by many, but it is what the dead have to tell which interests the scientists more. 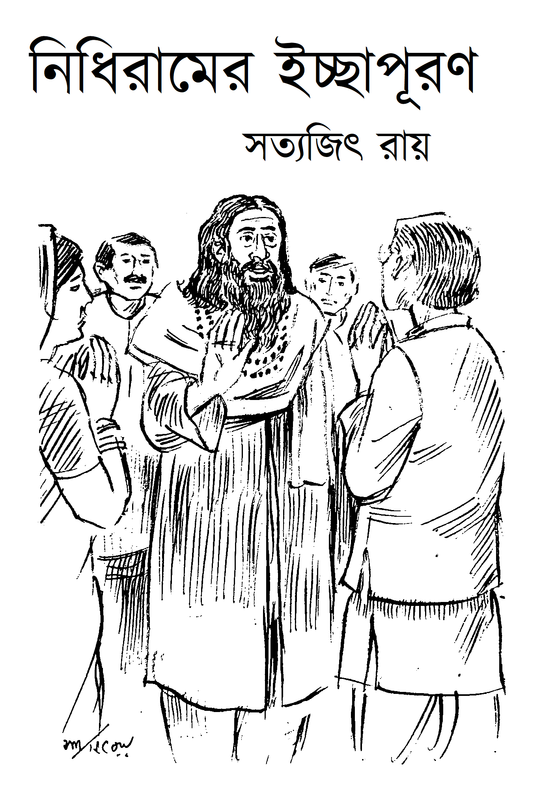 Professor Shanku O Har is one of the first stories of the scientist written by Satyajit Ray, and like others of its kind, it depicts Shanku as more of a reckless scientist than the almost sage-like person we come across his later depictions. This story is different, however, for another reason: in it, Shanku’s recklessness and curiosity leads him to appropriate someone else’s property – an act that results in severe consequences. A little deviation from the usual this time – in the form of a story of a little boy who questions whether there is indeed a God, and receives an answer of sorts. A very special upload this tume. Dear readers, do the words Thakurmar Jhuli ring a bell? If you are a little late in your youth, then perhaps yes? In these days of urbanization and modernity, Bangla folk and fairy tales really seem to have become a thing of the past. But are they? After all, the imagination of a child is hardly constrained by the boundaries we set around them, and don’t us adults sometimes miss those times when our grandmas would tell us fairy tales before we went to bed? So for both the little and big kids among us, a collection of fairy tales from Grandma’s bag – Dakshinaranjan Majumdar’s Thakurmar Jhuli. ঠাকুরমার ঝুলি বইটি হতে তুলে দেওয়া কিরণমালার একটি ছবি / A picture of an original woodblock painting from the book which shows Kiranmala.